PaxForex plans to list on NYSE? We have come across some rumors that were first published at Forex No Deposit Bonus. It is an unknown source for market news, but apparently the blogger who runs the show there has gotten his hands on some interesting news. He claimed he got his hands or rather ears on some insider information that PaxForex has plans to list on the Big Board. While The Last Bear can’t confirm the rumors or source we thought we pick it up and take a closer look. So far only FXCM is a publicly listed forex broker and no other well-known brokerage has followed suit. The merits of going public for a forex broker are not exactly clear at this point. It would strengthen them as a sound and solid broker as the NYSE listing requirements are tough so it would definitely boost their credibility. Furthermore it may attract some big time forex traders as well as institutional traders to PaxForex. Either way the news do stir some quiet waters as it is an uncommon move, but then again maybe that is why the management at PaxForex decided to go public and list. It would be nice to get an interview with a representative from the management team in order to ask some questions about them. 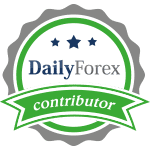 This does show that PaxForex is backed by some serious big time investors and a very calming confirmation for every trader who seeks a reliable brokerage to deal with. The Last Bear is not sure how many investors are behind PaxForex and what their plans look like with a rumored IPO, but from professional experience (yes, we do have trading experience with them and continue to do so) we can only congratulate the team over at PaxForex which has constantly worked hard and evolved into a much better forex broker. It would be nice to know how PaxForex plans to treat clients during an IPO and if they would offer their loyal client base share in the public company. Most forex brokers stopped evolving and are happy to stand still where they are and there are very few who continue to work hard in order to either gain a competitive edge or maintain the one they have and The Last Bear is glad that PaxForex belongs to the few that are not happy standing still.